Howdy! And welcome to Sustainable Preparedness. We’d like to introduce you to this independent homesteading lifestyle that we live and love. In fact, we hope you’ll be inspired to do it too—and we want to help! That's what this website is all about, helping you live a modern off grid lifestyle. Many years ago, our family jumped out of the “rat race” to live a simpler (yet modern) life. We live off the grid with a solar system and continue to develop our new homestead deep in the mountains of Idaho. Yes, we're starting over at a new place--if we can do it, so can you! In the spirit of neighbors helping neighbors, we dedicate this website to each one who is dreaming of reclaiming the noble independence our forefathers cherished so dearly. Our online courses walk you step-by-step through starting a homestead, off grid style. The core of our site. In our blog, you'll find a wealth of training from our years of trial & error. ​One of our favorite ways to incorporate healing remedies in our home. 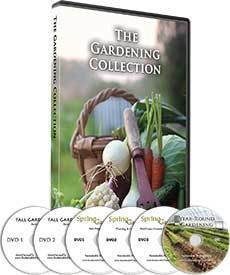 We produce some of the finest training DVDs and books. Check them out here. Ready to take the plunge and free yourself from the shackles of a monthly power bill? 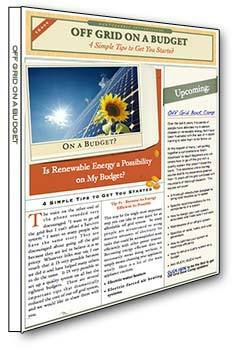 Get our FREE "Off Grid On A Budget" e-book. You'll learn the top 4 secrets we used to set up our off-grid power system for pennies on the dollar. You'll get our recommendations for slashing your power consumption without changing your current lifestyle. That's what I call a deal! if you are standing in the soup lines yourself? Learn how to reclaim independence here from training that we have produced to give you the skills you need to succeed. From preserving produce to setting up a power system suited to your needs you will be equipped to start your journey. You're 50% of the way there! Just enter your name & email below and you'll get instant access to the tips I wish I had know about when we started out. I'll even send you some of my best training about off grid power systems! We hate spam and promise to protect your info. You can unsubscribe anytime.